RedFox Games is an American game publisher that blew up the game industry with such hits as Black Desert, RF Online and Rumble Fighter. RedFox Games is a successful publisher with an audience of over 5 million players in North America. However, even the experienced teams found it difficult to quickly enter the developing countries' markets. To launch the Black Desert game in Latin America, RedFox Games contacted G‑Core Labs. 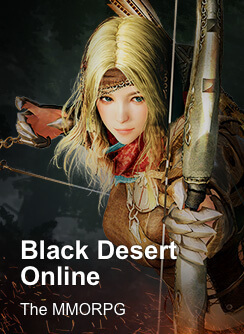 Black Desert is an online role‑playing game with a seamless open world that has carefully adopted all the best features of other MMOs. It is filled with battles and epic sieges for the right to own territories. Besides that, players can engage in trade, agriculture and housing arrangements, while the advanced character editor makes it possible to recreate your almost exact copy. And all this comes with ultra‑modern graphics, splendid landscapes, and dynamic weather. Latin America is a fairly closed region. To enter this market, you need good connections and a lot of patience. But most importantly, you need huge investments, as there are heavy duties on imported equipment, expensive traffic within the countries, and bad connectivity between providers. This makes it almost impossible for many game publishers to enter a new market. We chose the optimal location for the RedFox Games cluster—Miami. It is positioned at the junction of IX, in close proximity to Latin America. You'd think it's an obvious solution and it all looks easy. But implementing this idea turned out to be a real challenge for us. During the first tests, traffic was distributed via bypass routes, sometimes it was even "lost", greatly increasing the time of content delivery to gamers. In order to set up the optimal route, we obtained the Internet provider's license, contacted all the mainline operators and agreed to route the traffic along the shortest possible path. The properly‑built relations with 3,000 peering partners in Latin America helped us a lot. Before RedFox Games entered the LATAM market, there were pirate services with Black Desert. And when the project was at the closed beta stage, DDoS‑attacks on the official publisher were started. We received inumerous attacks of various types in the first two weeks, some of them reached 300 Gbit/s at their peak. Thanks to our high‑end equipment based on Kinetic and using local cleaning centers, we successfully defended the official game site from pirates. We built the entire infrastructure from scratch with Redfox. The project has been launched, protected, and is successfully operating. Gamers are playing. The client is happy.